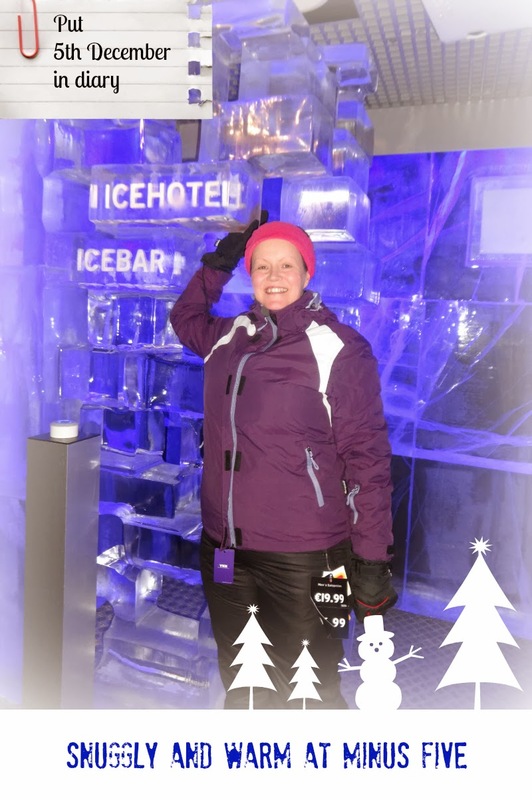 New Mum Online: What Do Me, Cocktails, The London Ice Bar, and Ski Wear Have in Common? What Do Me, Cocktails, The London Ice Bar, and Ski Wear Have in Common? We were all in the same place today, Monday 2nd December, from 15:30 to 17:00. I synchronised my watch with my Sister-in-Law's and dropped Aaron off with her, and my 2 nieces (well 1 as the other was yet to be collected from school but you get my snow drift), as I headed off to that West End, for an afternoon of cocktails and ski wear. The fact that I have never been skiing was not going to keep me at home. No Siree. I never dreamed that Aldi (who are considered budget) and skiing (which is considered a pastime of the upper / middle classes) would have anything in common. But, that is where you are wrong, or I, at least, am very wrong! Ski wear is no longer something that has to cost hundreds of pounds, or it still is, unless you get yourself to Aldi this Thursday. The range will hit stores on 5th December, but it will be on Specialbuy which means when it's gone, it's gone! Don't come crying to me if you miss out. With a range of quality gear starting from just £1.99, kitting out a family of four could cost less than £155 - representing a saving of 61% (around £245) on similar high street brands. I got to see a big portion of the range today and took away a few samples. 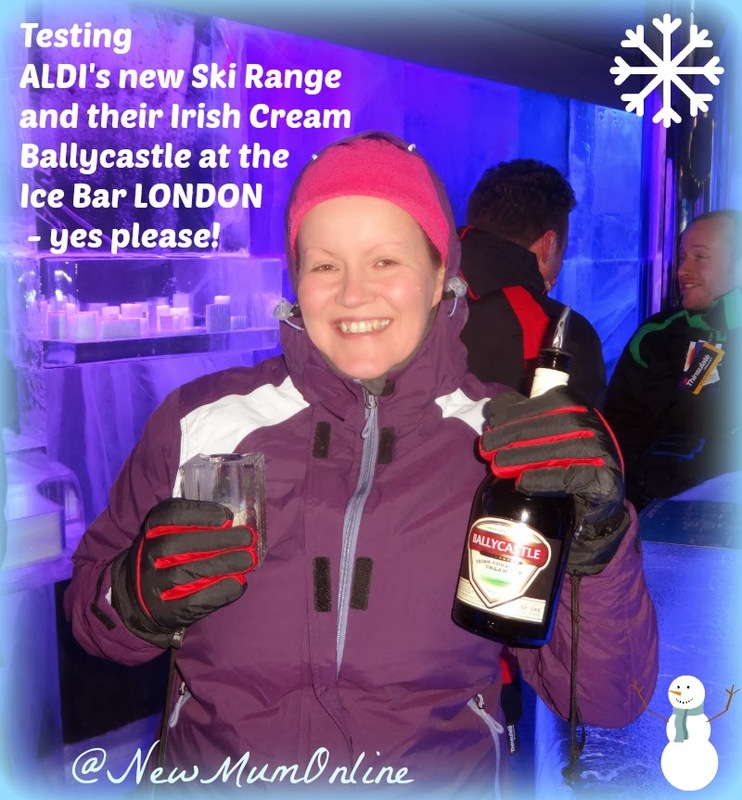 They even wanted us to be able to recommend it, having put it through its paces, so we adorned Salopettes (£16.99) and Ski Jackets (£19.99) and wore them into the London Ice Bar which fluctuates between -5 and -7 degrees. A session in there lasts 40 minutes and we weren't active at all, so we did get to feel the cold, or sorry, be surrounded in it - we were warm, the ski wear stood up to the test. A few minutes in, I had to put my hood up, but I was nice and toasty. The UK is threatened to go into minuses from this Friday onwards, so it seems Thursday is your perfect time to head for an Aldi near you and get suitably attired for the cold snap about to hit us. You don't need to go skiing to dress up warm though. There are fabulous CHILDREN'S and ADULT'S thermals in the range, which I think could see you through from this weekend to March, in the UK, or whenever it will be when it decides to get warm in 2014. In 2013 it was late June (never known Spring to be cancelled before but it certainly was this year)! I took away a fab pair of snow boots for Aaron today, which retail at an incredibly reasonable £8.99. As the photo shows I also discovered an affordable Irish Cream - yum! I will tell you more about the range in a post that I will write for The Family Panel, as Claire kindly introduced me to Aldi, which meant that I was able to go along today. 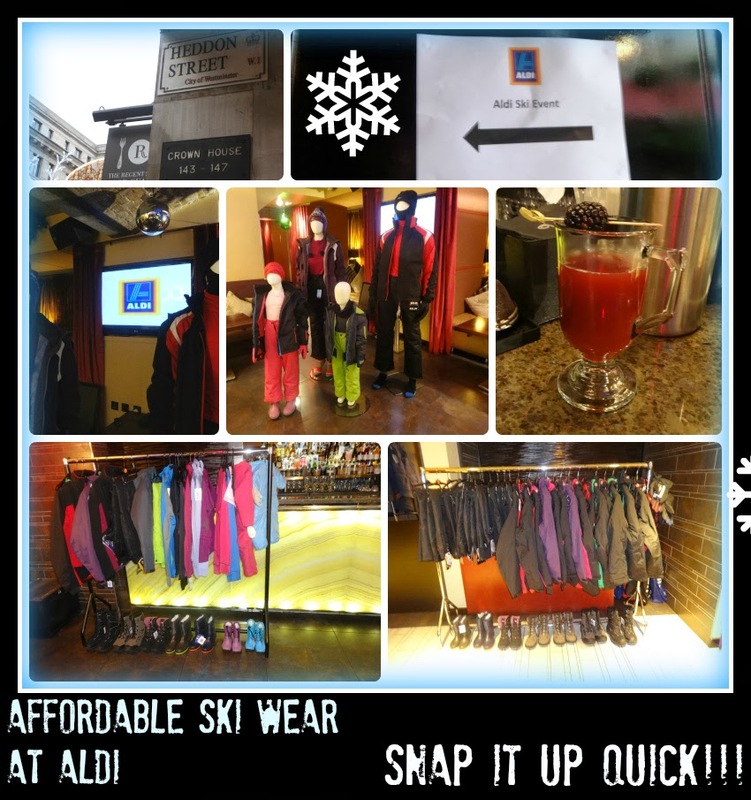 AND HERE IS THE GUEST POST THAT I WROTE FOR FAMILY PANEL: Aldi's Affordable Ski Range.